MEDFORD, Ore. – A man was arrested in connection with a hit-and-run on Highway 99 Wednesday night. It happened around 5:15 p.m. near the Harry and David Headquarters. According to MPD, a vehicle was traveling southbound on South Pacific Highway when it struck Chantal Haney, 26, who was crossing the roadway. She sustained severe injuries and was rushed to a local hospital for treatment. The driver of the vehicle that hit Haney took off. Police said the vehicle was reported to be an unknown color sedan missing the rear bumper and possible damage to the front headlight area. The day after the crash, someone called police to report a possible sighting of the suspect’s vehicle in the 3600 block of Crater Lake Highway. When police responded, they found a silver BMW sedan with damage consistent with the case. 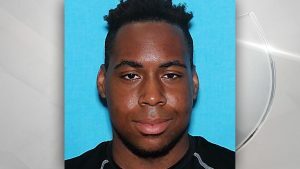 The owner of the vehicle, 20-year-old Janathean Walker, was arrested and lodged in the Jackson County Jail for failure to perform the duties of a driver. The crash is being investigated by the Medford Police Department and the Jackson County District Attorney’s office.